When it comes to tooth replacement solutions, dental implants are the standard for modern restorative dentistry. Implant-based restorations are successful 98% of the time, more so than dentures, bridges, crowns or any other restoration. With over 60 years of combined experience, Dr. Mary Afzali and Dr. James Sanford are recognized as leading providers of high quality dental implants to residents of Rancho Bernardo and the surrounding communities. Dr. Afzali and Dr. Sanford have helped countless patients coordinate their implant placement and provide quality aesthetic restorations. Our team of dentists uses continuing education to utilize the most cutting edge techniques and ensure patients receive the highest quality of implant treatment. 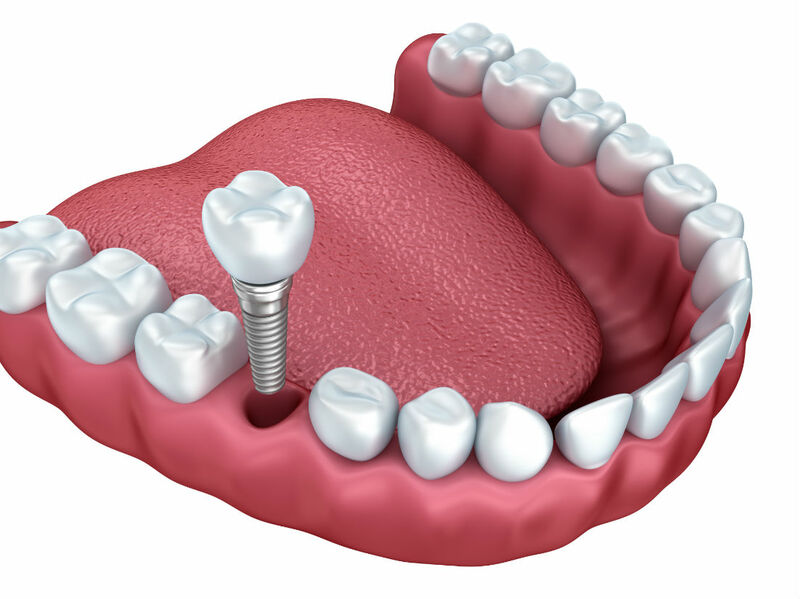 Dental implants are metal posts that are surgically embedded into the jaw and gum tissue. Once placed, they are affixed with temporary crowns and allowed time to heal. Once the implants are well integrated, custom-made permanent crowns, bridges or dentures are affixed to the posts and the restoration is complete. Implants support the health of the patient by stimulating cell growth in the jaw, leading to a stronger bite and healthier tissue. Traditional approaches to tooth restoration, such as dentures and bridges, merely restore the teeth but not the underlying root structure. The absence of any stimulation to the jaw bone can cause the site of the missing tooth or teeth to weaken and erode. The surrounding teeth will have a tendency to sink towards the site of the missing teeth and may themselves be subject to loss due to the progressive weakening of the peripheral bone structure. Dental implants offer an effective, modern solution! Single replacements – Whether due to injury or premature tooth loss, implants may readily be placed to restore a single tooth or a limited number of missing or damaged teeth. Overdentures – Overdentures are secured by using existing teeth (or implant-supported crowns) as anchor points. Using implant-supported crowns to stabilize dentures gives patients a much-valued assurance that their dentures will remain secure and not slip or fall out. Implant-supported bridges – Another way in which implant supported crowns can function as abutment teeth is through an implant-supported bridge. In addition to filling in a gap of missing teeth, implant-supported bridges stand alone and will not impact neighboring teeth. Mini Implants – Mini-implants are, of course, smaller (less than 3mm in diameter) and use a unique O-ring design to connect to the adjoining crown or denture. These smaller versions are most often utilized with patients who do not have enough bone density to support standard sized dental implants. Dr. Afzali and Dr. Sanford at Rancho Bernardo dentistry are happy to help coordinate your journey to a stronger, healthier and more beautiful smile. We will conduct the initial assessment and, depending on your needs, we will refer you to a qualified oral surgeon or periodontist for the implant placement. Once your implants are placed we will procure the proper prosthetic and complete the restoration here at our San Diego office. Please contact us with any questions: 858-769-5349. You can also use our online form to request an appointment time.